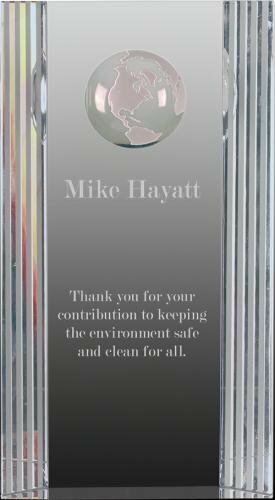 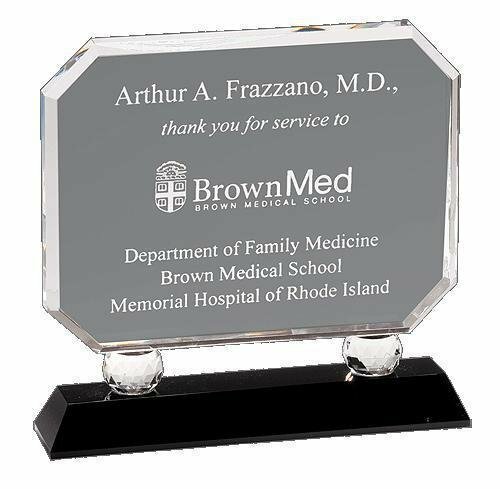 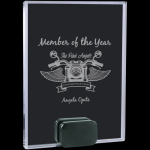 This rectangle crystal award sits on a black pedestal base and may be engraved with your choice of personalization message. 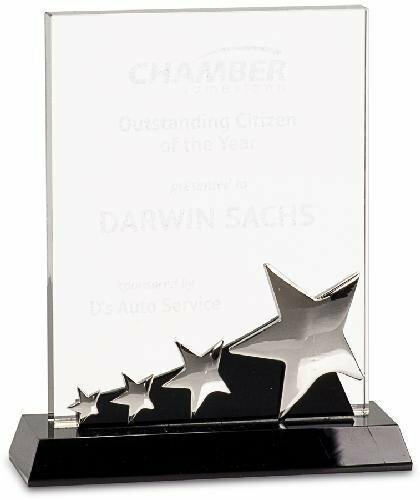 Simple elegance best describes the clean modern lines of this exquisite award. 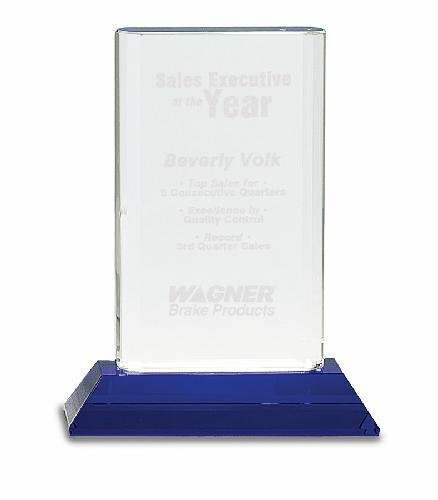 The 3/16” bevel at the sides and top of this ¾” thick crystal rectangle frames and highlights the large personalization area, while the black crystal blocks attached at both front and back provide additional stability as well as visual interest. 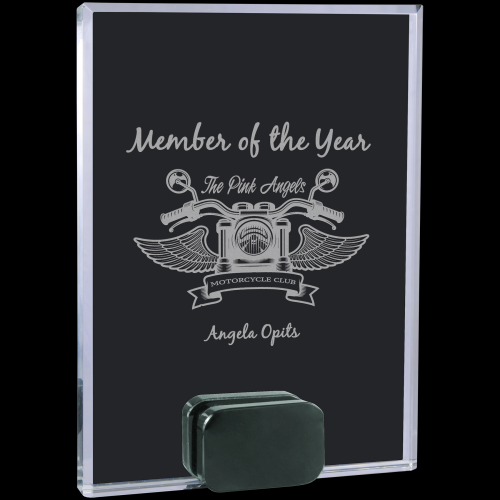 Packaged in a lined gift box and personalized for your event, this premier optic crystal piece is available in 2 sizes, and is the ultimate in recognition of excellence. 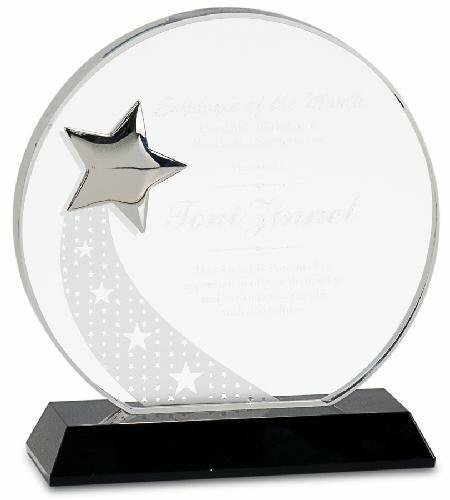 A shooting star design is etched into the back of this 5/8" thick clear crystal, and topped by a polished silver metal star mounted to the front. 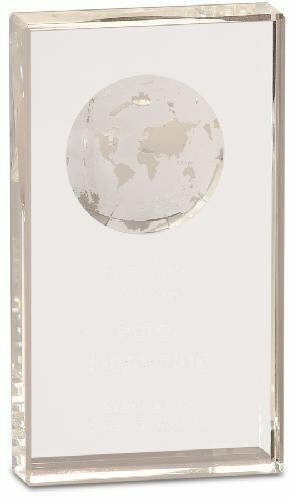 This gives this unique piece dimension and depth. 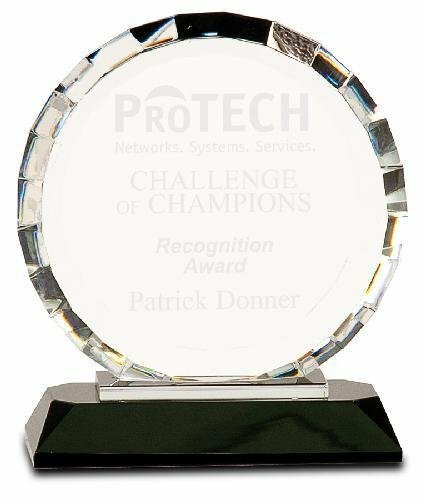 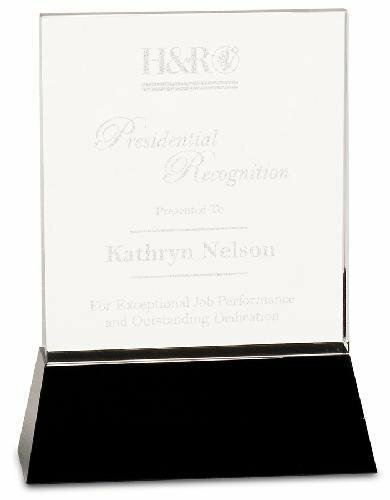 Mounted to a black crystal base, there is plenty of room to personalize for a shining recognition of your organizations star performers.